From the Courses tab, click the red “Manage” button and then the blue Class Group Management icon (to the left of the red recycle bin icon). You will then find yourself on the "Class Group Management" page. To edit class group details such as title and status, click the yellow pencil icon next to the designated class group. An “invitation only” status requires students to be invited using the PIER Apps system (read more in section below). An “Open to public” status allows students to be invited using the PIER Apps system, or via the Registration hyperlink (read more in section below). Please note, students who register using this hyperlink do not require an invitation from their education provider. To create a new class group, click the green “New Class Group” button in the top right corner, then enter the details for the new class group and click the green “Create Group” button. Our suggestion: set one class group with an “open to public” status and all other class groups with “invite only” status. The “open to public” class group can be used for students who register via the registration hyperlink, which will allow you as the education provider to track who is registering using this method. All other class groups with “invite only” status can be used as normal for students invited using the PIER Apps System. To view and manage class group students, invite messages and tokens, click the green Eye icon next to the class group on the Class Group Management page. From the class group page, click on the “Send Invites” tab, add the student email addresses (using options below) and click the green “Send Invitation” button to email the invitations instantly. Every education provider has their own registration page where students can fill in their details and be added to the most recent class group with an “open to public” status upon successfully completing registration. This is a good alternative for education providers who wish to invite students to register using their own system, e.g. instructions and the registration link can be provided with the student’s offer letter. The registration link is the same as the education provider’s custom SWS website link, with /register at the end. From the class group page, click on the “Invite Messages” tab. To edit an invite message, click on the yellow pencil icon next to the invite message you wish to modify. Once you are done, click the green "Update Invite Message" button. From the class group page, click on the “Create New Message” tab. 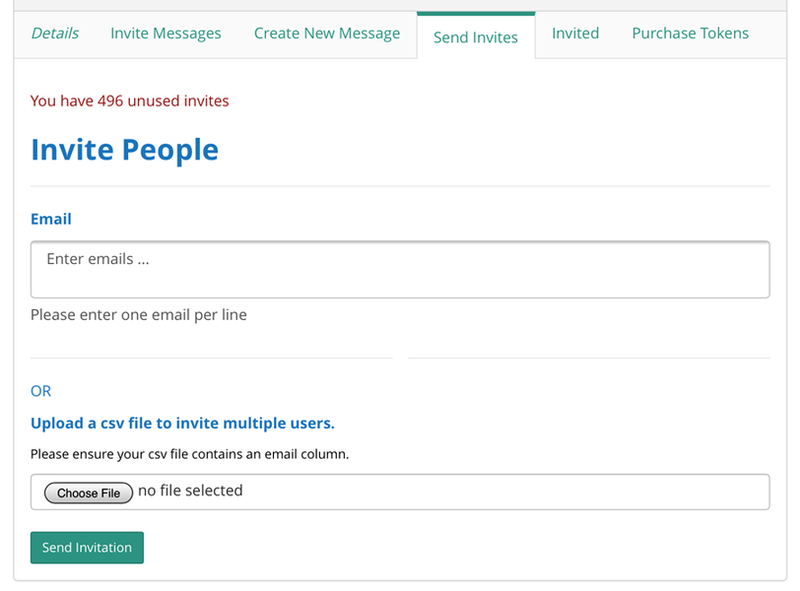 Type the subject and message body, and then click the green “Create invite message” button. 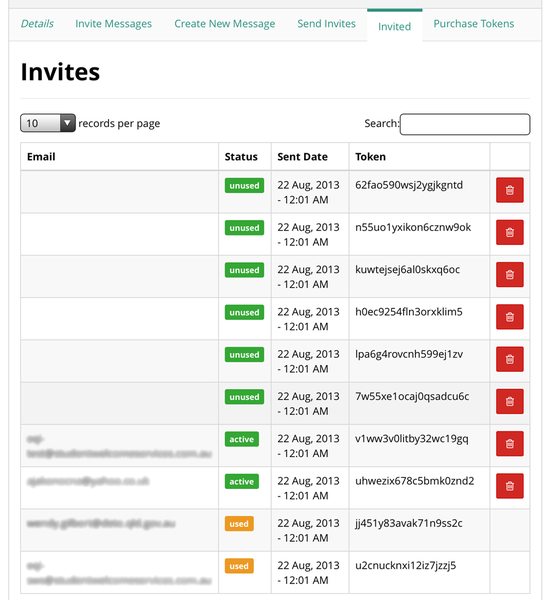 If you are sending invitations out using the PIER Apps system, the most recent (top) invitation message will be used. From the class group page, click on the “Purchase Tokens” tab. Type the quantity of tokens, and then click the green “Add Order” button. Before your tokens are allocated, the SWS Development team will need to process your order. If your order is urgent, please email info@studentwelcomeservices.com.au to have your tokens approved ASAP.